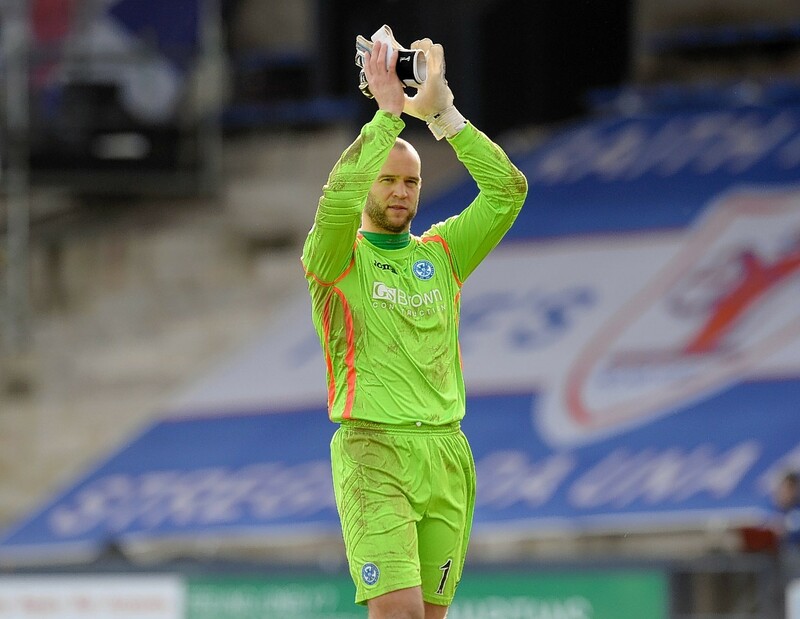 Tommy Wright has led many of the St Johnstone squad to their first major final but for goalkeeper Alan Mannus, his influence has been even more profound. Mannus has worked with Wright at every club he has played for along with the Northern Ireland squad, and feels he would not even be in Scotland enjoying such a successful career were it not for his advice and training. Having seen Wright shape his life and career, Mannus knew he would do a good job as Saints manager when he stepped up last summer, and their William Hill Scottish Cup final meeting with Dundee United is the culmination of an incredible debut campaign. Mannus said: “He was my goalkeeper coach when I was about 19 at Linfield. He was with me for a couple of years and then Tommy moved on elsewhere. “Eventually I ended up moving to Shamrock Rovers where Tommy was goalkeeper coach, which was one of the main reasons I wanted to go there, to work with Tommy again. “Tommy moved on from there after a couple of months and I ended up coming over here. And within two or three months after that, Tommy came over as assistant to Steve Lomas. So we can’t seem to get away from each other. Mannus won four Irish Cups with Linfield as well as a number of other major trophies during his time north and south of the border in Ireland. But he gave up the chance to play regularly in cup finals and European competition in order to test himself in Scotland, and the 31-year-old feels his gamble paid off long ago. “It’s not come down to just this game. The last two-and-half years have made it all worth it. “The first few months were hard because I was away from family and friends. It’s what most footballers do at some point in their careers. That was tough enough and I wasn’t playing. But once I got in and managed to stay in, it’s all been good since then and all been worth it. “Winning the cup would be massive for me. I was lucky to have played in Irish Cup finals back home and win them with Linfield, and to play in a cup final with Shamrock Rovers as well. I will always remember that and hopefully I will play in the final on Saturday and remember that one.